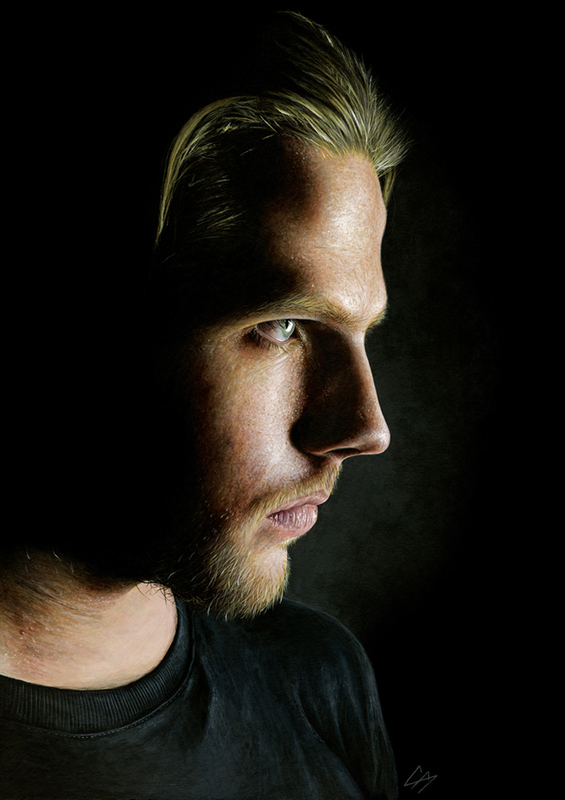 Portrait artwork from the album ‘In The Company Of Wolves’ by ‘Arceye’. Medium: Acrylic paints on Board. By Craig Mackay.